An oil-to-foam cleanser with thorough cleansing power and complexion brightening effect. Contains natural cleansing ingredients for a thorough cleansing even with just a small amount. Oil-massaging care removes excess sebum, dead skin cells and blakcheads in the pores. Vitamincapsules with 12 types of vitamins fortified 300 times promotes brightening skin care. Moisturize and brighten with Damask rose oil and Nordic berry. 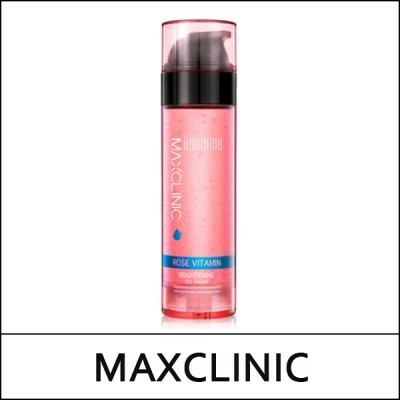 Massaging with natural cleansing substances and rose vitamin, an excellent skin brightener, makes your skin fell like it was pampered with a spa treatment. It gently melts the impurities and residual makeup on your skin and creates a smooth oil-free finish with the hypoallergenic plant-derived foam that is formed when it comes into contact with water. Apply 3-4 pumps amount of the oil foam evenly on your face. Gently massage each area of the face with your fingertips to melt the makeup. Gently massage with wet hands to lather. Rinse off throughly with lukewarm water and finish off with cold water.